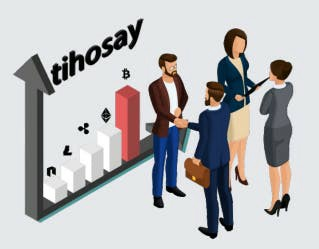 We started modeling TIHOSAY in March 2017, which will leave all the problems behind and change the perspective of people for the crypto world, with our solution-focused team. Despite the fact that cryptocurrencies are revolutionary and offer speed, trust, and many other benefits in all payments,why they are still not widely used is a big problem. We are very excited for pioneering the use of cryptocurrencies in all payments in the REAL sense. TIHOSAY will ensure easier, cheaper, faster, and safer worldwide use of cryptocurrencies for the users. Thus, we aim to increase the accessibility and usage areas of cryptocurrencies. Shopping and using cash is very easy by converting 9 different cryptocurrencies to local FIAT with our TFC module (MULTI-CONVERSION). You can use it in more than 24+ million stores, restaurants, hotels, etc. in 160+ countries where VISA® cards are accepted. The growth of cryptocurrencies with new projects being developed as a part of our lives is a digital revolution. We contribute to the actualization of these by supporting Blockchain ideas which are innovative and promising. We contribute to making your projects a reality by benefiting TIHOSAY EXCHANGE community. 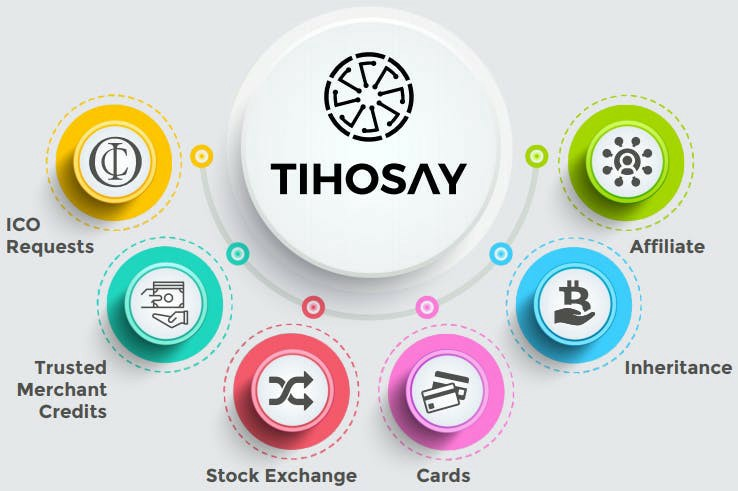 We provide benefits to all people by using the affiliate system with TIHOSAY EXCHANGE that provides different advantages to merchants and users. TIHOSAY will provide trusted merchant credit in order to keep customer satisfaction and Merchant reliability in the foreground.Also, you can safely transfer all of your investments to your next generations with our inheritance system. Development and change are inevitable. The innovative ideas that we develop are the most realistic face of the change.TIHOSAY is the most advanced model of accessing and using cryptocurrencies. “Trusted Merchant Credit” will be provided for Merchants who keep customer satisfaction paramount. Thus, we will support the merchants who work honestly to grow their business and compete more easily.The purpose of the Trusted Merchant Card is to offer the most reliable and trouble-free merchant to the users. Merchants can sell in all the desired areas thanks to our API system For example, a merchant that uses WordPress infrastructure can start selling by easily integrating TIHOSAY plugin into the website. This plugin can also work synchronously with our application. In the same manner, merchants can use it comfortably thanks to our simple add-ons to forum scripts like vBulletin, XenForo.All merchants will be able to apply their own settings as they wish without any coding knowledge thanks to the simple codes to be given on our site for other scripts and coding types. 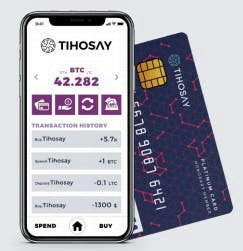 In the same way, a user will be able to make payments within seconds to a merchant as they wish with the TIHOSAY applications that will be created for all platforms. QR codes can be listed individually on the application, thus confusion and time loss will be prevented. In the same way, each QR code can be read by TIHOSAY application and its product can be displayed. Purchase with Ethereum substructure takes about 1 minute. The merchant lists all products sold/added on the web or retail on our application and accesses all the details.All of the data can be downloaded or deleted at any time.However, all data are kept on TIHOSAY database and merchants have the right to access this data again when they wish. Users and merchants can easily accesses to all TIHOSAY infrastructure services with a single membership. Right for web (WordPress,API etc.) and on-site sales are only special for accounts with Merchant title. Inspection center will be established for all users with a merchant title.TIHOSAY will collect data by doing research about complaints and negative feedback.Merchant title will be set as inactive and use of all TIHOSAY services will be prevented in case of any type of abuse. All developments will be checked by both parties thanks to the developed and easy-to-understand interface. All actions will be automatically recorded through smart contracts for transparency and sharing them will be possible. Your entire investment is guaranteed by TIHOSAY for your inheritors. Namely; all rights and investment can be transferred upon the death of a user in line with the information previously provided to our system. There will be Rights Transfer Section on our public website in the name of realizing these steps. TIHOSAY team will quickly contact the person or institutions for the transfer. 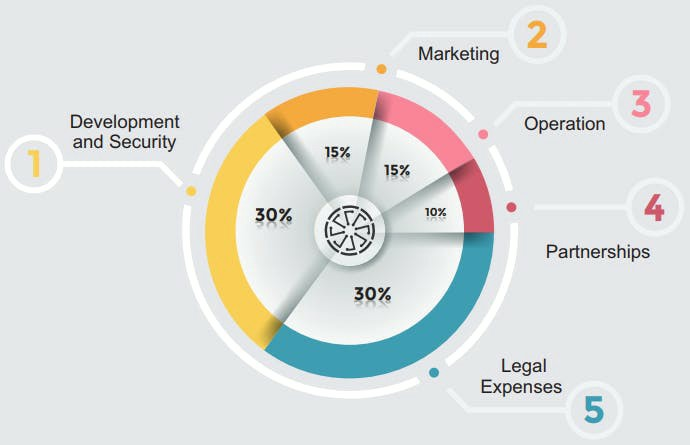 We aim to develop a platform where all our users can carry out their operations easily.We are taking many steps to increase the use of cryptocurrencies of everyone.We provide many innovations and advantages for all of our users who use this platform.We are launching an ICO with the aim of measuring the interest to the platform in order to launch TIHOSAY platform by going public on April 15, 2018. We thank everyone who trusts and supports us. 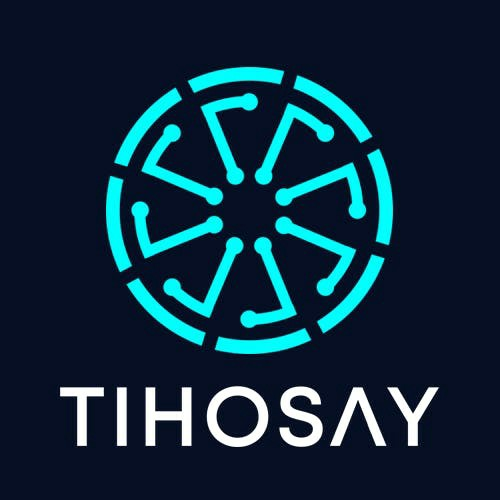 TIHOSAY is an investment for the future for everyone. 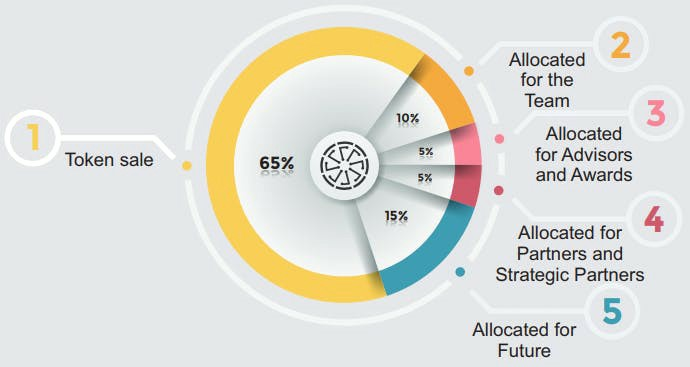 TIHOSAY — THO / ERC-20 Token Total token supply (max): 100,000,000 THO Token sale: 65,000,000 Separated for Future: 15,000,000 Separated for the Team: 10,000,000 Separated for Advisors and Awards: 5,000,000 Separated for Partners and Strategic Partners: 5,000,000 — Tihosay Pre-ICO will begin April 15th,2018 at 10:00:00 UTC. – Tokens separated for the future and team will be remain locked for 12 months with smart contracts. – If the Pre-ICO will be completed successfully,Soft Cap will not be available in ICO rounds. – If the desired participation will not be achieved during the Pre-Ico, Soft Cap will be 5000 ETH in line with total participation. If 5000 ETH threshold will not be achieved during the entire token sale event, the investments of the participants will be returned through smart contracts. – Token sale events will be completed with the completion of the specified dates or the full sale of the indicated token amount. – Maximum purchase limit per person is unlimited. – All tokens which are separated for the token sale but didn’t purchase will be burned. – Only Ethereum is accepted. Do not send Ether from addresses you do not have complete control over. Be sure to use a token that is compatible with wallets such as MyEtherWallet,MetaMask,Mist,etc.